Black River Environmental Improvement Association (BREIA) is a non-profit organization that grooms and maintains three different trail networks in the Boonville area. Skiing is free of charge. Some of their trails are closed to the public seasonally during weekdays. Trails range from easy going along a canal to more challenging skiing in remote terrain. The high number of black diamond trails includes several very short, steep connectors on the Egypt Road trail system. Multiple trail heads offer many different route opportunities. This trail system is classic technique only. 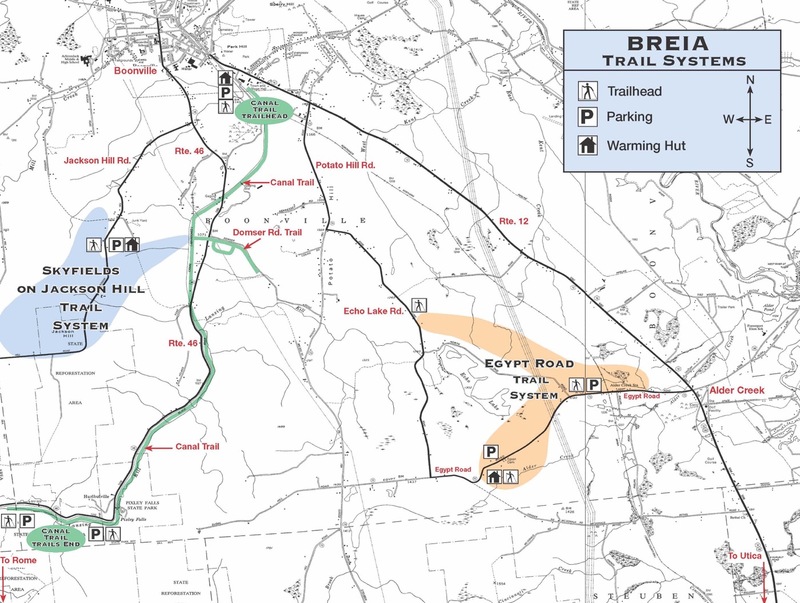 Detailed maps for each of three different trail systems.